To be of service to you we’ll first share 14 solid, actionable ways to market your restaurant! Next we’ve curated 6 amazing articles that are also great resources for marketing your restaurant. Nothing says high quality food and beverage like high-quality, handcrafted items in your restaurant. Our handmade pottery mugs are made in the United States and these incredible mugs are touched by 24 pairs of hands throughout the creation process. 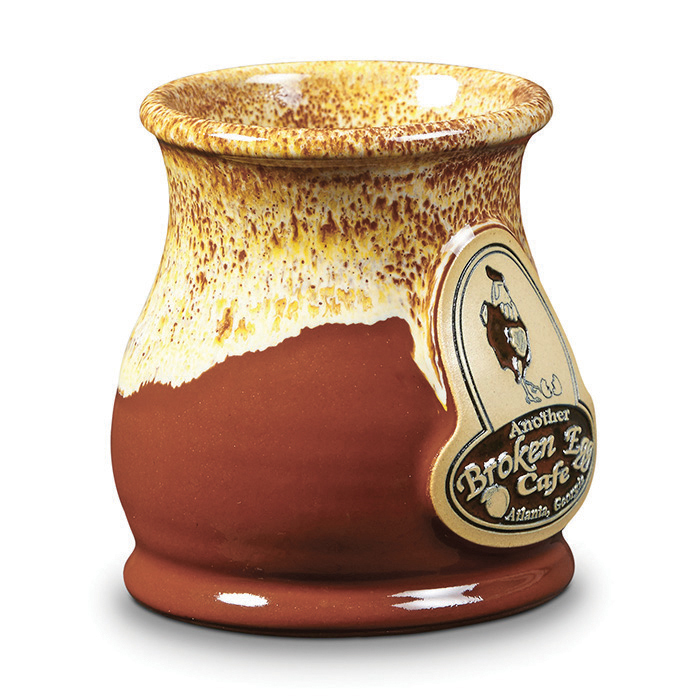 We work with restaurants to come up with a collectible, unique and incredible looking mug design and then provide wholesale pricing so they can use them in their restaurant and/or sell them in their gift shop! Enjoy the ideas about marketing your restaurant below, and cheers to your epic success! Fundraisers and Charity Events: Host a fundraiser to give back to the community. This type of event will attract locals who support your cause, as well as organization members and possibly even politicians. Not only will this be great for the area you serve, it will be a boon for business as well. It will give you exposure and help give you a reputation as an integral part of the community. Holidays: The most popular holidays for restaurants include Valentine’s Day, Christmas, Mother’s and Father’s Day, (although you can pretty much expect to be busy on any holiday). Offer up special deals and holiday-themed meals or drinks. For example, on Valentine’s Day, you could offer up a red daiquiri special to couples celebrating the lover’s occasion. Sports: Take advantage of sporting events like the Super Bowl, World Series, UFC fights, NBA Finals and the Olympics. Try offering happy hour specials during the last half of the game to encourage patrons to stick around. You could also offer a special deal if a certain team wins or loses, or scores a certain number of points. Birthdays: Your staff should be considered a valued asset to your business. As such, ensure that they feel appreciated by celebrating their birthday. Mark it up on the chalkboard and tell them to encourage their friends to come out and celebrate. Likewise, offer any loyal customers dinner or dessert on the house should they chose to dine at your restaurant for their birthday. People are always looking to celebrate around good food, drinks and people – who better to provide the all the above than you? If you own a bar & grill, it would be ideal for your restaurant to appear at the top of the search results when a person Googles “bar & grill”, “bar & grill near me”, or even certain dishes or types of food. In order to get to the top of search engine results, you need to implement non-branded keywords into the content of your website. This requires you to add specific keywords (or search terms) into the text of your site, such as on the homepage, menu or blog. When you’ve implemented keywords, you’ll be more likely to show up when people search for terms associated with your offerings. Of course, keywording is only one slice of the often confusing SEO puzzle. If you’d like to find out more about SEO tactics, try out this guide: Restaurant SEO 101: A Guide to Search Engine Optimization for Restaurants by Restaurant Engine. 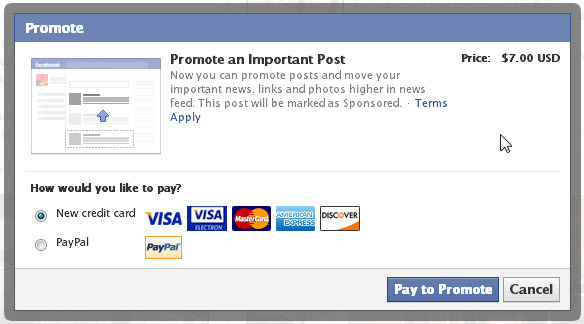 Learn more about Facebook Advertising here. As a restaurant owner, you need to be thick-skinned. 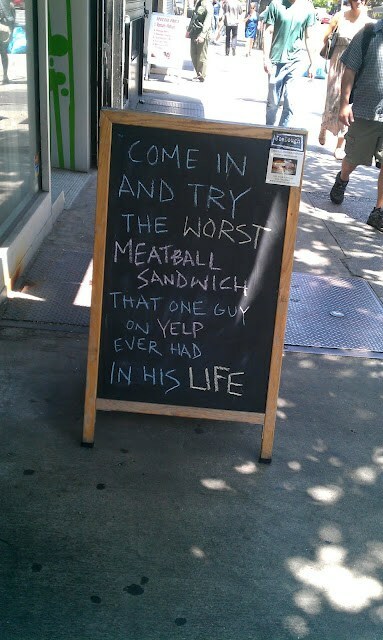 With the rise of online review sites like Yelp, Facebook and Google Reviews, upset patrons have an easy way to impulsively spout their perceived frustration to the world. Don’t fight it – embrace it. Someone will always find something to complain about, it’s simply the way this industry works. You can’t control other people’s attitudes, but you can control a potentially bad situation if you stay level-headed. Whenever someone complains about your restaurant online, it provides you with a great opportunity to spin a situation by acknowledging the customer’s bad experience, providing an apology or compensation, improving their outlook, retaining the customer and coming off as the hero. Complaints also give you solid insight into weak areas of your business, whether it’s an underperforming employee or poorly prepared meal. Although this may technically be considered an event, it deserves its own section. Whether you’ve just opened your first restaurant or you’re a 30-year industry veteran, a media night is a fantastic way to drum up some press and get exposure. If you can get members of the press, food critics, local celebrities, politicians and other important community members to come out, you will really make a statement to the everyday restaurant-goer. Host your special guests in an appropriate setting – you may want to keep it simple with a cocktail hour, or go all out with a full-blown party. Whatever you choose to do, provide patrons with an unforgettable experience to ensure that they spread the good word about your establishment to their networks and followers. Punch Card: The punch card is a simple yet effective loyalty program idea and encourages customers to come back to get that free sub, slice or soda once they hit the magic number of punches. Loyalty Card: Restaurant loyalty cards can be in the form of a rewards card or a gift card. This is a quick and convenient way to track a customer’s rewards and provide them with a special offer once they hit a certain number of points. If there is a specific part of day or night that your restaurant seems desolate, try offering double points to loyalty customers when they make purchases during that timeframe. This should bring up the liveliness a bit. To learn more about implementing a loyalty program, check out this handy guide by HubWorks. No one uses the phone book anymore. Restaurants need to apply to local citation websites to get their brand out their online. They offer good sources of traffics, solid linking opportunities, brand exposure and reviews. With daily deal websites, you can offer patrons excellent deals on meals. Not only will you see a rise in customers, sites like Groupon and LivingSocial will expose your restaurant to a completely different group of people than you otherwise could have reached. They can place your deal all around their website and social media to increase clicks. For more information, visit Groupon, LivingSocial or review this comprehensive list of daily deal sites to pinpoint the right one for your restaurant. Instagram is a restaurant marketer’s best friend. There’s no better way to get potential customers’ mouth-watering and showcase your food than through high-quality photos. Take advantage of Instagram’s huge audience of foodies by posting enticing ‘grams of your meals, drinks and atmosphere. With the demand for visual content, featuring delicious-looking photos prominently on your website and social media channels is key to attracting the attention of hungry web surfers. For an even more in-depth look at how to market your restaurant on social check out ‘Likes, Tweets, and Snaps, Oh My: Creating a Restaurant Social Media Marketing Plan‘. While phone books may be no more, local papers are still a very popular source of information for plenty of community members. You can offer a clip-out coupon for hungry diners to take advantage of. One of the biggest benefits to this marketing idea is that you can physically track how many coupons are being brought in and by what type of person. When you search for a restaurant on Google, Google’s Knowledge Graph displays the business’s details in an information box at the top of the search results – but only if there’s enough accessible information out there about your brand. That aggregated information is pulled from various sources, however a good way to influence what’s displayed is by filling out your Google Plus profile as much as possible. Having your restaurant appear via Google’s Knowledge Graph allows for more prime search real estate: right at the top and for free! Additionally, encourage patrons to review your restaurant on Google Plus, as Knowledge Graph will also display those. If you’re looking for a less time-consuming way to put together the email newsletter for your restaurant, try out some of these sharp looking templates. Sourcing local ingredients can do a lot to boost your customer base and boost your reputation in the community. Customers love to know that they’re supporting local business, farmers and agriculture. If it’s not out of your budget, definitely consider marketing this aspect of your restaurant. With branded merchandise, like custom, hand-crafted coffee mugs, the customer can take a little memory of you home with them. Whether you want them to be signature pieces at your restaurant, you want to run up some revenue or just want to use them as a marketing tool, custom stoneware will get people talking about your restaurant. Give your patrons a keepsake to remember you restaurant by – something that they will own for years to come. 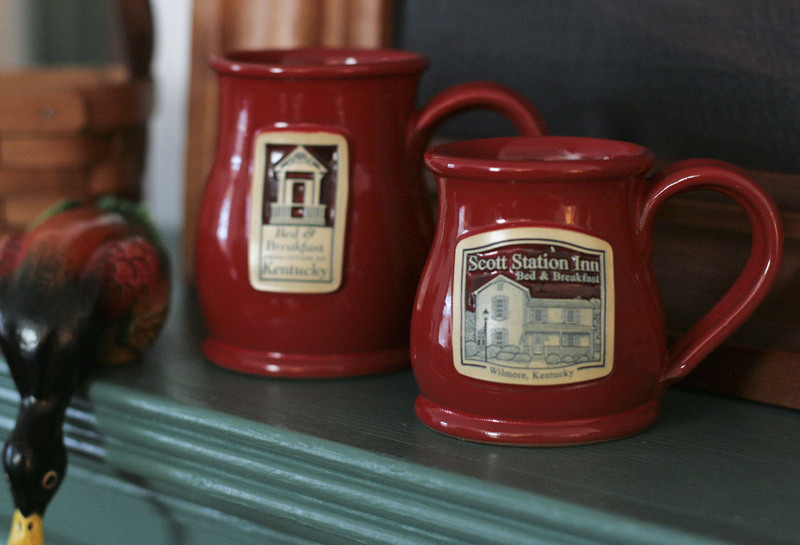 Deneen Pottery offers unique, high-quality mugs that restaurants around the country choose to sell, use and display in their establishment.It’s the marketing gift that keeps on giving. 25 Restaurant Marketing Ideas – How to Market Your Restaurant – WordStream – From loyalty programs to food trucks, there are endless ways to take your restaurant marketing to the next level. Only your specific situation will determine what strategies will be right for you. How to Promote Your Restaurant in 14 Steps – Gourmet MKTG – To Gourmet Marketing Agency, promotion is all about digital presence. If you don’t have a video of your latest and greatest, this might be the best place to start – but Gourmet suggests starting at the website. 50 Restaurant Marketing Ideas, Resources, and Tips from the Pros – Fit Small Business – “Fit Small Business” starts with you guessed it – showing up at the top of Google. But offering a special on social media, incentivizing social sharing, getting bloggers involved, and creating swag are all options according to this resource. Restaurant Promotion Ideas – How to Attract New Customers – POS Sector – Happy hours, scouting the neighborhood and offering a discount comprise part of this list of somewhat tried and true suggestions for promoting your restaurant that are old stand-by’s.